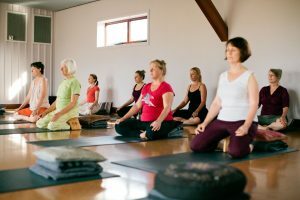 Jenny is well experienced in teaching corporate yoga and has done so numerous times both at her studio and at conference venues around Pokolbin. Jenny can also provide mats if necessary. 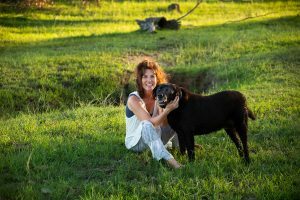 Jenny often incorporates sound massage or meditation tools with the session to provide groups with a unique experience that assists in bonding. Sessions are also very accessible and suit a wide range of abilities. I just wanted to thank you again for the wonderful experience we all enjoyed at your Yoga Shed on Friday. It truly was everything I expected it to be: peaceful, relaxing, restful and uplifting. From the moment we arrived, we all felt very welcome and were all looking forward to spending some “me” time under your gentle guidance. I know that everyone who felt tired, felt 100% better after the yoga and meditation sessions and the people who did more taxing activities were very jealous of our quiet time!